Homemade blueberry coffee cake. Fresh and delicious and topped with just the perfect about of crumb top. Blueberries picked from our own orchard makes these homemade treats over the top on the taste category. This moist delicious coffee cake is a favorite among locals, and growing in popularity nationwide. Blueberry lovers beware, they are addicting. Mini Loafies are our mini loaf (Measures approximately 2.5 by 3.5) with a big taste sensation. Just the right size to enjoy with your favorite morning cup of joe, with some to share, not that you will want to. 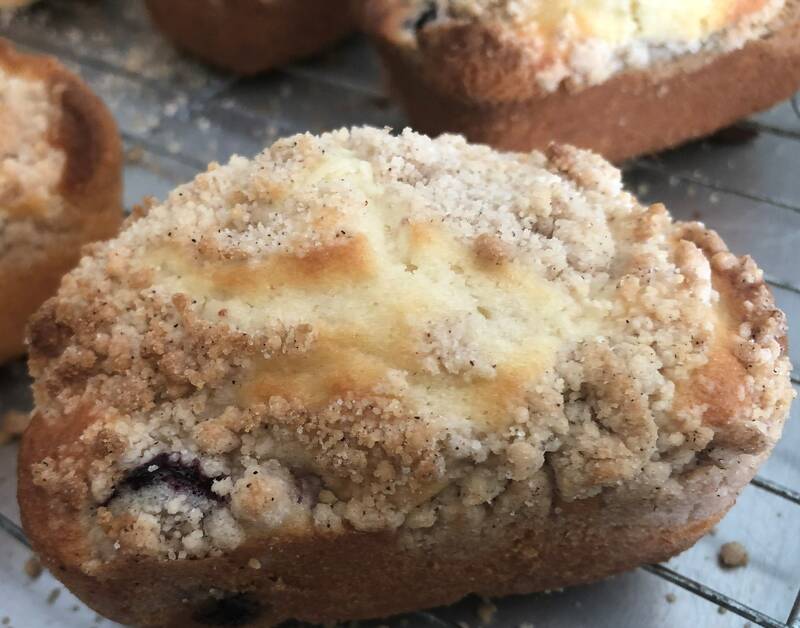 You will receive 5 of our Blueberry crumb Loafies. Each loaf is topped with a crumb top and full of juicy blueberries . Each loaf is individually wrapped in food safe packaging. *Great customers service and the loafies are absolutely delicious. Thanks! *Delicious! Fast shipping & excellent customer service! Thanks again! *Amazing, this was a gift and the mother who received this LOVED it! The packaging was secure and beautiful! Thanks so much! *Lemon loaf was just perfect! *My kids LOVED this lemon loaf!